KangaroosGrass Solutions can supply a range of natural looking synthetic grass ideal for short term hire for special event functions, media and product launches, parties, weddings etc. Idealgrass enhances any area and is a great alternative to carpet or wooden flooring. Can be laid over nearly any surface and installed and removed in a matter of hours. 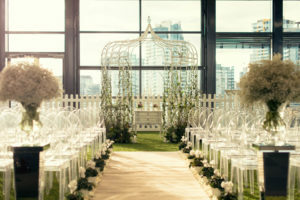 Approached by Perfect Madness, Wedding Planner & Event Organisers we were asked to supply some synthetic grass for a wedding they were planning. The end result was amazing! Please see our blog site for the case study for this clients wedding. Contact us for all your requirements related to artificial grass hire, so we can help you with your event! We can sell you off cuts in all shapes and sizes IDEAL for Dog Kennels, Door Mats, Caravan Annex, Boats and practically any-where. Prices range from $10-$20 per square metre. Off Cuts vary from .5 wide to 7 or more long. LOOKING TO DO IT YOURSELF!! Click here to download the Prograss DIY Installation & Maintenance Instructions brochure. We now stock Wet & Forget here at our Mt Waverley store. Available in 2, 5 and 10 litre. Wet & Forget has a unique combination of biodegradable selective surfactants for moss, mould and lichen removal on absolutely any exterior surface. When diluted with water and applied, it immediately attacks that unsightly moss, mould and grime. Then Mother Nature takes over. The weathering process gently takes the decomposing material away bit by bit without scouring the surface it has infested. Wet & Forget is the safest, most effective way of removing moss & mould from ANY exterior surface.